Flat caps, Yorkshire puddings, whippets and white roses will be all part of Morley’s Ee By Gum Fest later this year. The festival will be held on Saturday August 1 to mark this year’s Yorkshire Day, which is being celebrated the same day. The event, which skipped last year to make way for the WW1 commemoration weekend, will be back and will see Queen Street in the town centre bustling with the sights, sounds and tastes of Yorkshire. Throughout the day there will be donkey rides, Morris dancers, fun fair attractions, clowns, Punch and Judy shows, live music, family funfair and lots of stalls selling locally sourced produce, food, drink, gifts and crafts to the outdoor market. There will also be performances by Churwell Community Choir. Hosted by Morley Chamber of Trade and Commerce, the event will be held from 9am-4pm. 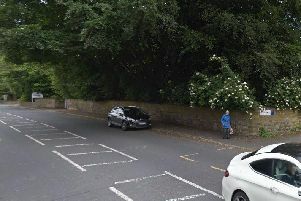 It is hoped there will be some new visitors to Morley as well as being a treat for local residents and people are being asked to get into the Yorkshire spirit and dress up in overalls and flat caps. There will also be a prize raffle on the day, raising much needed funded for the Radio Aire’s Cash for Kids appeal, which helps support needy children in Leeds and West Yorkshire. Town Centre Manager, Rachael Kennedy said: “This event is a real treat for Morley and a regular feature in our events calendar. “I would love to see everyone getting involved in true Yorkshire style.